Caroline has produced and ridden horses up to 4* level, competing at Badminton, Burghley, Bramham and Blenheim, as well as overseas. In 2007 she took part in the Olympic test event in Hong Kong on Don Giovanni. 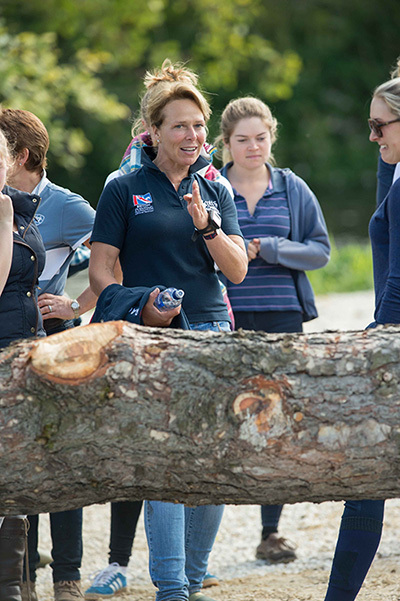 Caroline, who is the British Eventing National u18 Coach and Junior Team Coach, now focuses mainly on coaching riders and other coaches to improve their skills, with the main aim to develop confidence and belief by building correct foundations. She also co-owns Allstar B, who is competed by Ros Canter. The pair completed their first 4*, Burghley in 2015 with Ros finishing best of the British first timers. With a second Burghley completion under their belts, in 2017 they placed 5th, Best Brit and Best Lady Rider at Badminton. This earnt them a place on the British Team for the European Championships at Strzegom, where they won team gold, finishing fifth individually. The following year, 2018, was even more successful. Ros and Allstar B placed third at Badminton before taking double gold at the World Equestrian Games in Tryon, making them the new World Champions. To see Ros’s photo galleries, click here.